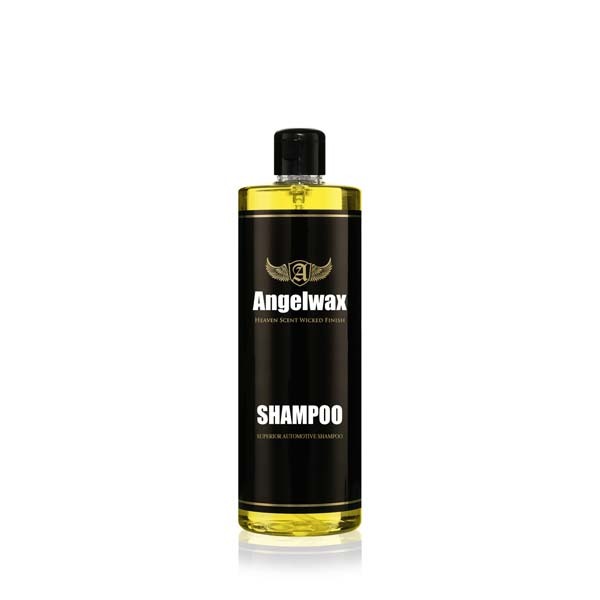 Angelwax SUPERIOR AUTOMOTIVE SHAMPOO is a thick, slow pouring, highly concentrated vehicle bodywork shampoo designed to leave your vehicle beautifully cleansed and streak free. Just a small amount of Angelwax SUPERIOR AUTOMOTIVE SHAMPOO is required to produce a rich lather making this super concentrated product the ultimate detailing shampoo. With a neutral pH of 7, SUPERIOR AUTOMOTIVE SHAMPOO is a completely wax safe product and extremely gentle on skin as well as all types of paintwork! Angelwax SUPERIOR AUTOMOTIVE SHAMPOO has been rigorously tested in our laboratory and by the best detailers in the business to ensure that we have formulated yet another brilliant product for your vehicle.